A roux is a thickening mixture that’s made using butter and flour, and as I’ve found out over the years, it can be tricky. Or can it? Maybe it’s just all in my head and I make it more complicated than it really is. That sounds more like the truth of it. So… I figured why not try and test my limits even more by baking vegan biscuits and making a vegetarian country style sausage gravy to pair? I was definitely skeptical about these biscuits too. Baking can be hard enough… but, baking with only plant-based stuff? Is it even possible? As it turns out, it is completely possible. And honestly, these biscuits are so good and even BETTER than their counterpart. The gravy though? That’s the real star of the show here! 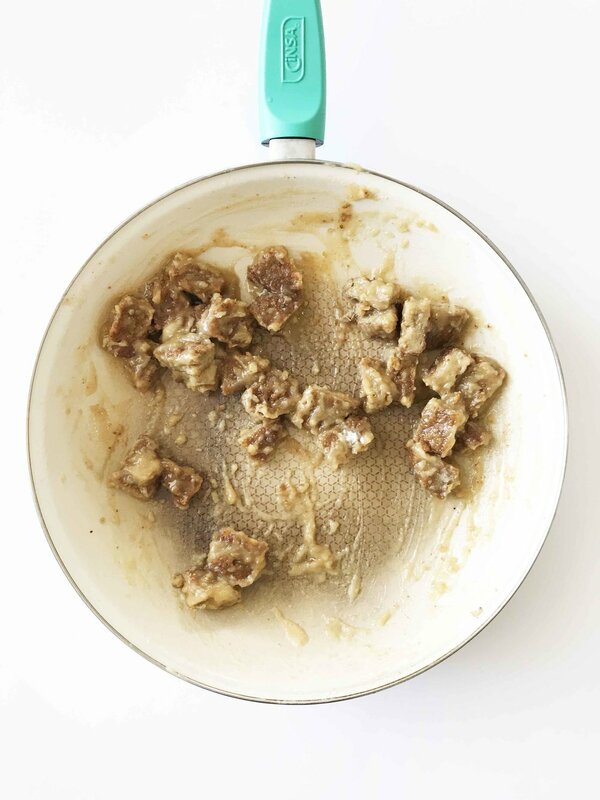 I started this country style gravy out with my favorite vegetarian sausage made by MorningStar Farms®! The MorningStar Farms® Sausage Patties are perfectly flavored and versatile. That’s why I wasted no time in chopping several up to use in this gravy. These sausage patties aren’t just for vegetarians either. Everyone will enjoy the awesome line up of MorningStar Farms® items. I’ve tried several, and never once have I been disappointed. Don’t believe me? Hover over the image above to click through and shop! I LOVE the MorningStar Farms® Bacon Strips and the MorningStar Farms® Sausage Patty Value Pack is a freezer staple in my house. I always like to grab both when I’m shopping at my local Walmart! Vegan biscuits topped with a homemade vegetarian country sausage gravy. The perfect breakfast (or brunch) comfort food! Preheat the oven to 450 degree F. and line a baking sheet with parchment, foil, or a silicone baking mat; set aside. In a small bowl, combine the 1 C. almond milk and the 1 Tbsp. lemon juice together and set aside as well. This is a quick trick to making a vegan buttermilk! 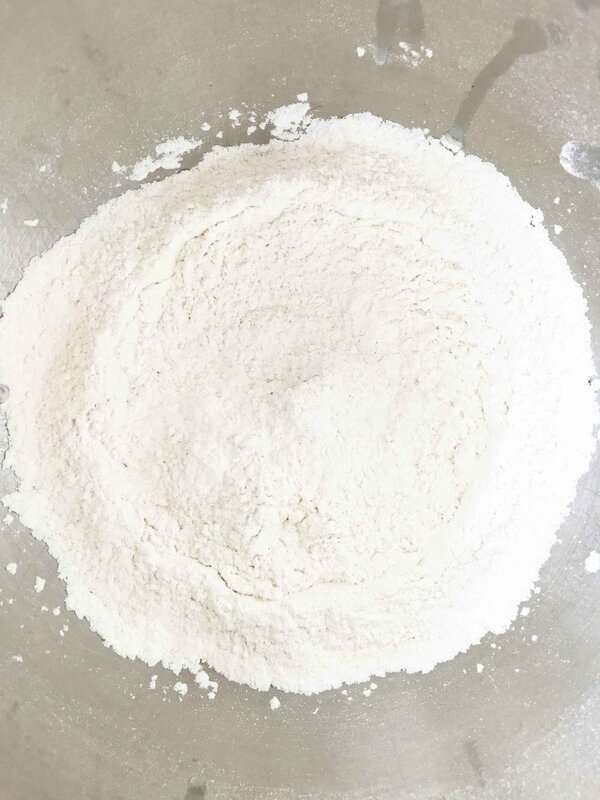 In the base of a stand mixer with the whisk attachment, whisk together the 2 C. flour, 1 Tbsp. baking powder, 3/4 Tsp. salt, and 1/2 Tsp. baking soda. Cut in the 4 Tbsp. butter and continue to whisk until the flour resembles a course sand. Switch out the whisk attachment with the paddle. Add in the almond milk mixture 1/4 C. at a time and combine JUST until a slightly sticky dough forms. 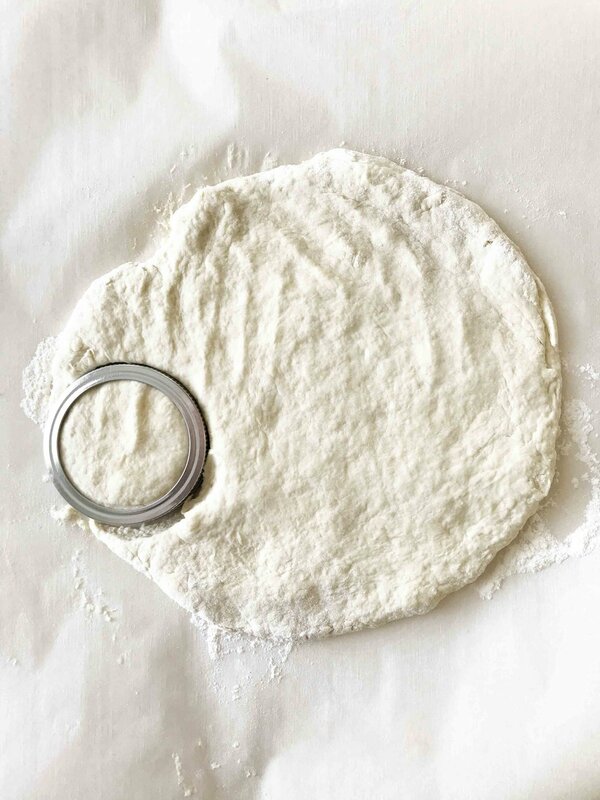 Turn the dough out onto a lightly floured surface and knead just a few times. Flatten the dough out into a 1” thick disk and cut out 7 biscuits. I used the lid of a regular mason jar to cut mine. I’m super fancy like that. Transfer the biscuits to the baking sheet and place in the oven to bake for 10-15 minutes or until the tops are turning golden brown. While the biscuits are baking melt 5 Tbsp. of butter along with the chopped MorningStar Farms® Sausage Patties over a medium heat. Add in the 7 Tbsp. flour and stir to cook for a minute or two to make your roux. Whisk in the 1/2 Tsp. seasoning and slowly add in the 4 C. almond milk. Bring it all barely to a bubble, whisking constantly. Once the gravy starts to bubble, it should be getting nice and thick! Turn the heat off and season with salt and pepper to taste. Cut the biscuits in half and divide the gravy evenly among them. Enjoy right away!